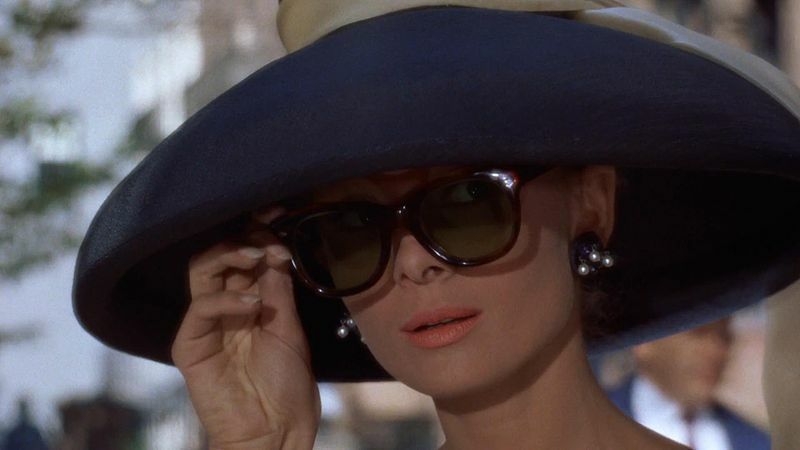 How did I fall so far from the graceful style of my idol – Audrey Hepburn? No matter what she wore – Givenchy or a sweater, slacks and flat ballet shoes – she embodied elegance and confidence. Years ago, that was the self-assured image I aimed for. Nowadays, it’s all about comfort. I’d ditched the suit and heels that are de rigueur in most workplaces. For me, every day should be Casual Friday. As I rummage thru my closet each morning, I fantasize about what I’d wear if I could. My passion for fashion is kaput. Now, my go-to choices would be my Life is Good T-shirts and jeans. I was clueless as I walked in, even though I saw quite a few family members and friends sitting at tables throughout the restaurant. How odd, I thought, that they should all pick the same place to eat at the same time. No sooner had I sat down and began looking at the menu choices than I heard the swelling of excited voices. I looked out the window. Nope, no ambulances or police cars. What could it be? Then I heard the thundering of feet heading our way. It was Stacy and Clinton of TLC’s fashion makeover TV show, “What Not to Wear.” Still, I didn’t have any foreboding. I should have. This is a show I’ve often dreamed of being on. I’m star-struck. That quickly fades. They stopped at our table and shoved a microphone in my face. Stacy introduced herself and Clinton to me as a cameraman began recording. I’m mortified as they show film clips about my obvious fashion faux pas as I schlepped to the mall or grocery store. The indignities pile up as friends laugh while Stacy and Clinton make snide commentaries about each outfit. Then, they soften the blow by offering me a credit card and a shopping trip in New York City. I’d get to stay with them for a week for a makeover. Finding clothes that camouflage my flaws is appealing. But, there was just one catch … I’d have to turn over my Life is Good T-shirts. No doubt my anguished cries could be heard in the next county. Then, I awoke, in a cold sweat. Had it all just been a dream? I ran to my closet to check. Whew! My beloved T-shirts were still there. Oh, you had me going there! I LOVE that show and, yet, I don’t feel like I’ve learned a thing from it. Funny, but I was just visiting their TLC site this morning! I often feel I’d be a disappointment to Stacy and Clinton if they could see me. But, really, my bunions scream “NO!” when I get within a “foot” of heels. 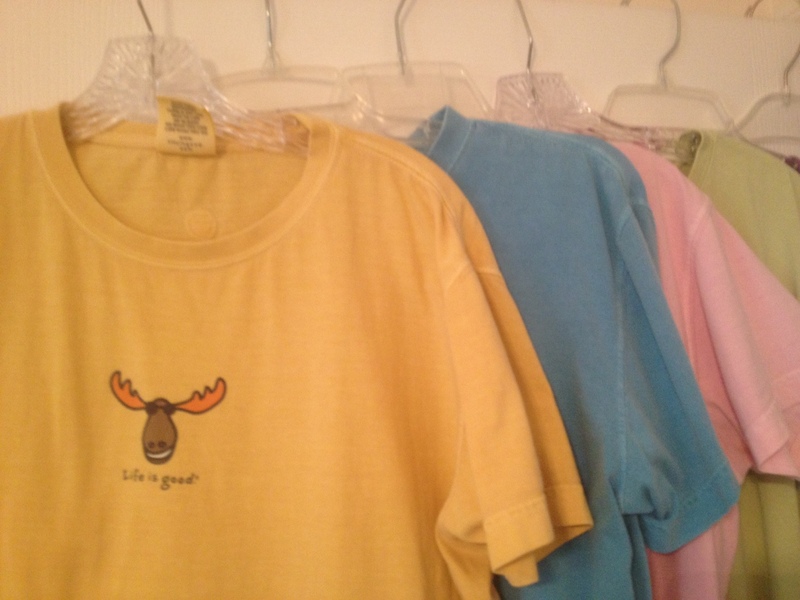 I support your Life is Good tee-shirt collection (as in fashion collection). Sometimes, I’d wonder “Just what were you thinking?” when I saw some of Stacy and Clinton’s clothing suggestions – especially when they insisted on pointy-toed shoes. Yes, my feet would be screaming. But, many times, the end style result was just wonderful. Glad you approve of my T-shirts, AA. I do love them. What is it that changes our life’s passion over time? And if indeed that changes, was it really our intrinsic passion in the first place? When we fret over ” how we look”, it is more about our perception of what others think of us. Seldom about what we really feel about our own selves and derive comfort below our skins… Your journey shows that, doesn’t it? Shakti … There is still a part of me that yearns to be that woman in the glam shot. Guess it’s part of the female DNA. 😉 But, yes, I have arrived at a place where I am comfortable in my own skin — and my clothing choices often reflect that. I’m delighted you loved the post. Writing has been my life’s passion since I was very young. I appreciate your presence and your comments. You had me going, too, Judy. I was just about to tell my wife that I know someone who’s going to be on one of her favorite shows. Our society tends to focus too much on outward appearance, but there’s no denying the connection between how we look (or think we look) on the outside and how we feel on the inside. And that credit card would have been nice. I’ve imagined being on “What Not to Wear” many times. I know I would be torn if they asked me to throw out clothes that I’m really attached to. Sad to say, people are often judged by how they look. Hah! I started thinking halfway in the post ‘Is she going to do it? Will I get to watch the episode?’, hehe. Don’t we all? Until we realize we’d rather EAT. Hehe. Well Mom if you go on the show, I’d have to go on the show too. I too am comfortable in jeans and t-shirts- though not the Life is Good ones. I have seen the clothes you pick out for work and you have style, wear what you want to the store and your off time. Love you. Has “What Not to Wear” ever done a mother/daughter makeover? That’d be worth looking into. Stacy? Clinton? Hello-o-o! Jenn, I do have that ‘casual’ style down. I know my fashion will never be Audrey Hepburn-worthy. But, I’m OK with that. If I was, that means I’d have to be “on” fashion-wise 24/7. Comfort takes priority over style with me too. Madhu, I envision you as the epitome of style. Your photos certainly reflect that. But I’m glad to know that I’m not alone out there when it comes to comfort. I love Life Is Good t-shirts! They are expensive and substantial and the colors are wonderful! The best thing about Life is Good T-shirts is they are made for a woman. Some T-shirts are really too long for a woman’s torso. Kate, I agree and I also feel they give me a psychological boost when I wear them because of their positive messages – and funny ones. Thanks for being my muse, Lisa, and for the nudge in the right direction. It’s nice to know I still have the panache of a snake-oil salesman combined with a carny’s come-ons. Glad you enjoyed the ride, Mark. “Epitome of Elegance” and “Judy Golightly?” I rather fancy that. Thanks. My daughter, Jenn, (above) insists I actually do have “style” – albeit a casual one.